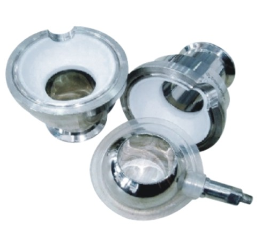 Sanitary Non-Retention ball Valve is a two splitted design sanitary ball valve, the combination is connected by heavy clamp. Non-retention ball valve is made in stainless steel 1.4301, 1.4404 or T316L, T304 ete of DIN, SMS standards etc., it is without dead angle, and no retention of flow. 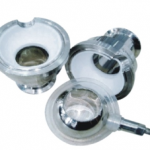 Wellgreen sanitary provides a wide range of sanitary valves for food processing, beverages, fruit juices, wine, biopharmaceutical etc. 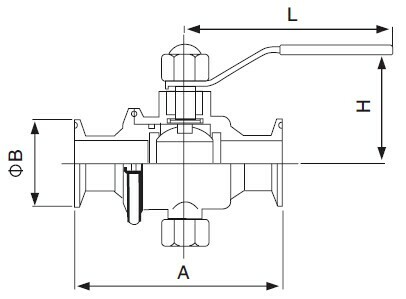 Valve body combined with clamp connection. Valve body is renewable and changed to other connections. 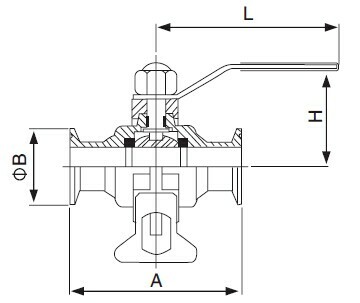 Connected end of tri-clamp,weld,thread available. Standard of DIN, SMS, ISO, IDF, BPE, RJT etc. 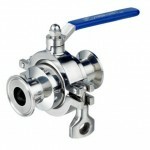 * For more information about sanitary non-retention ball valve, please contact us when you feel free.